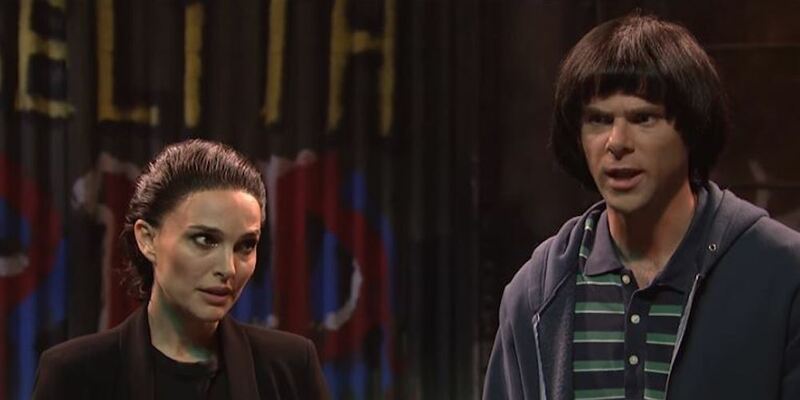 Natalie Portman hosted last night’s Saturday Night Live. She’s been getting a lot of praise for her turn as host — though our favorite was the Stranger Things SNL sketch in which Portman, as Eleven, discovers more kids like her. The sketch opens with Eleven and Mike (played by a constantly-aroused Mikey Day), arriving at a creepy hovel. Riffing on last season’s episode, “Chapter Seven: The Lost Sister,” Eleven meets a number of children with special powers — even though it’s increasingly clear that she got the best of the bunch. Next, we meet Nine, played by Cecily Strong, who can read minds, but farts after doing so. Five (a/k/a Pete Davidson) can run really fast — like The Flash! — though doing so gives him an erection… meaning he has to run really fast to hide said erection. And now it can be told: This author is better known as Forty-Two, and has the power of ending articles about SNL sketches with a lame joke and a video link.